dCode is a toolkit website for decryption, ciphertexts, cheating at letter games, solving riddles, treasure hunts, etc. Opened in 2009, the site has grown steadily and improved, offering more and more tools and carried by its users, dCode has become a public site, free and open to all! Dcode pages will need translating from French in your web browser. 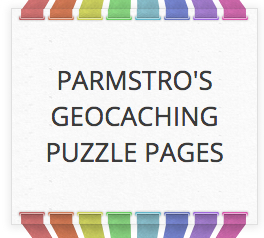 This website provides a series of links to pages, which help you solve puzzle caches. It is a very comprehensive site covering not only puzzle solving but ‘goodies’ too. Start by looking at the Puzzle Solving section. Modify and Convert Text . A free tool to quickly convert and modify any text into binary, ASCII, leetspeak, upsidedown text, chat slang, and much more. You can also drag the Modify Text bookmarklet to your bookmark or favorites bar and use this page from within your browser. Codes, Ciphers, Encryption and Cryptography at Braingle.com . Cryptography is the discipline of using codes and ciphers to encrypt a message and making it unreadable unless the recipient knows the secret to decrypt it. Encryption has been used for many thousands of years.